Charcot is a disease commonly found in patients with diabetes, but can affect patients without diabetes. 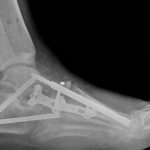 While the exact process is unknown, Charcot causes bones to become brittle and break. When patients have poor sensation, they may not feel the break and they continue to walk. This causes the bones to break further. 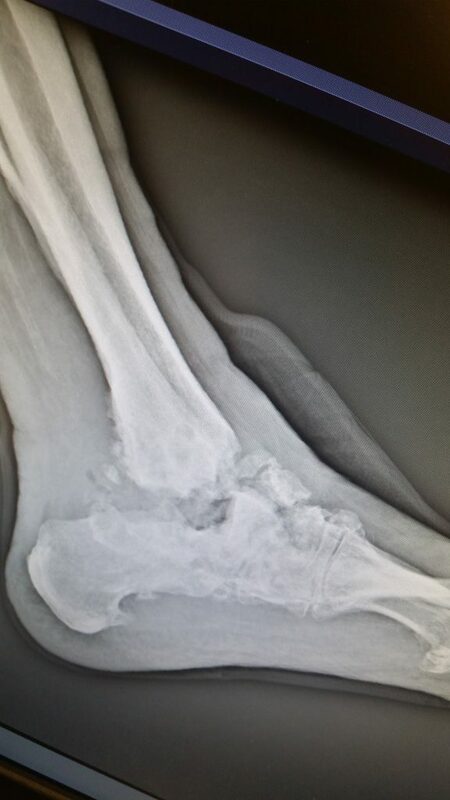 The bone will eventually collapse, leading to an unstable foot. Over time, this can become painful and can lead to large deformities, pain, ulcers, and amputation. 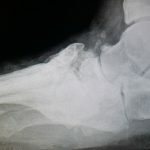 When Charcot causes bones to break, the foot will become inflamed. The first signs of Charcot are a foot that is red, hot, and swollen. Sometimes, patients who don’t normally have much feeling will complain of pain. Later on, as the foot collapses, large deformities may become present. 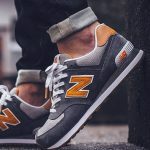 Over time, these deformities can make it difficult to fit into shoes, difficult to walk, and can lead to ulcers on the foot. 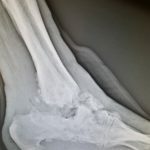 How do you treat Charcot? 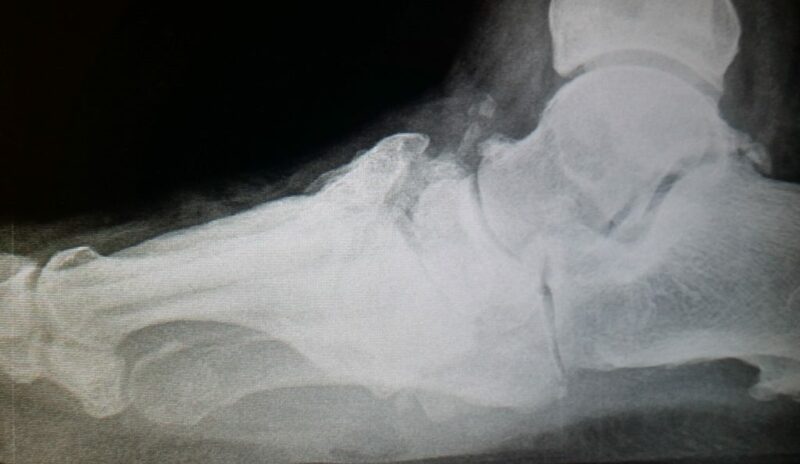 At the first hint of Charcot, the most important thing we can do is to completely stay off of the foot! This can be difficult, and may require crutches, a scooter, or even a wheelchair. Also, your doctor may require you to wear a cast or a boot. Removing pressure prevents further collapse. 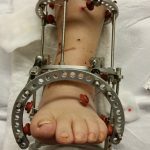 Once a Charcot foot stabilizes, it is important to support the foot to prevent collapse. It is also important to protect any areas of deformity so there no rubbing to prevent ulcer formation. Sometimes we can do that with custom diabetic shoes, but sometimes it will require a custom Charcot boot. Unfortunately, there are times when conservative care does not work. 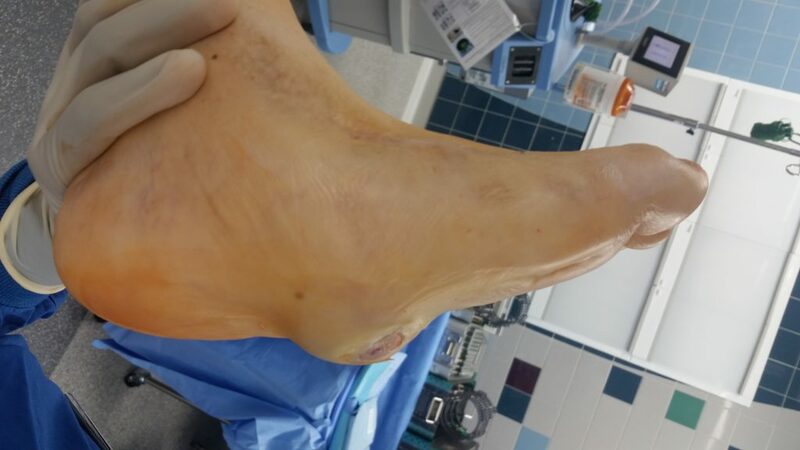 At that point, it will be likely that it will take surgical correction to fix the deformity or stabilize the foot. 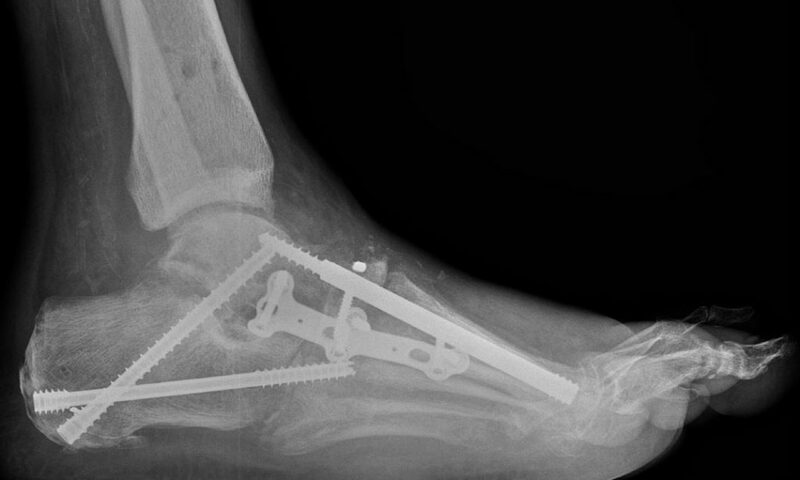 Charcot reconstruction surgery is a long, complex surgical procedure. 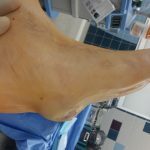 Below are a couple of videos demonstrating how we cut and stabilize the foot. 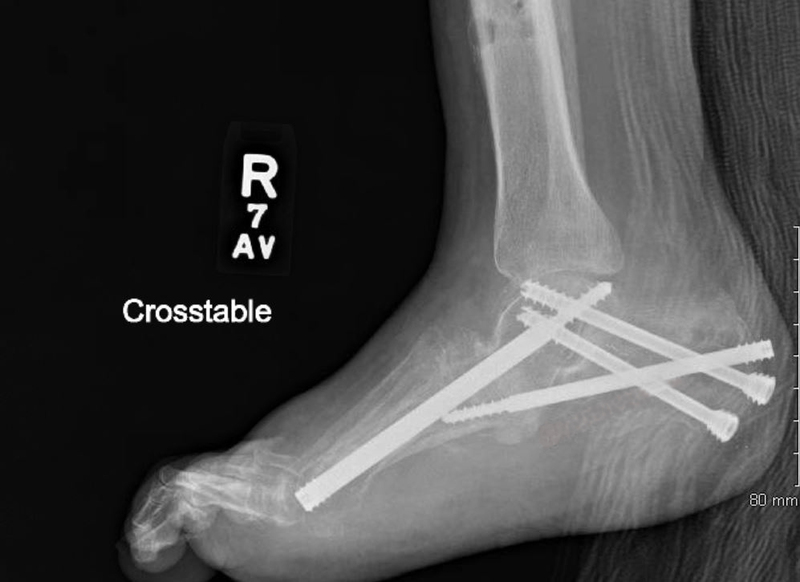 For more information on Charcot reconstruction surgery and the recovery, see below. 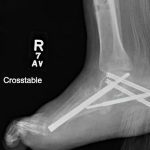 For the first 3 months, patients can expect to be in a cast or in an external fixator. During this time, it is likely that you will be unable to walk and will require the assistance of crutches, a scooter, or wheelchair. Some patients may spend some of this time in rehab. 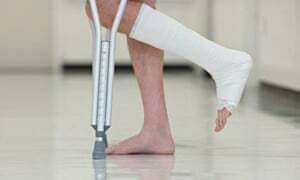 At or around 3 months, the fixator or cast will come off. Patients will then be placed into a CAM boot. Once the swelling comes down, patients are casted for a custom Charcot boot. Normally during this time, your doctor will allow you to start putting weight on the foot. 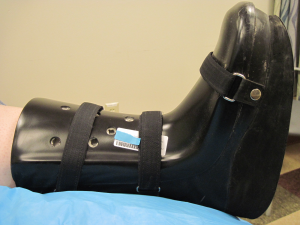 By the 6 month mark, most patients will have their custom Charcot (or CROW) boot. 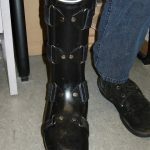 Once the custom boot is on, patients will be able to walk. They will be able to gradually increase activity. The boot will be used for 12 months. X-rays will be taken every 3 months. 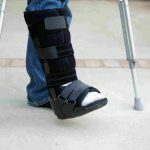 After the custom boot has been in place for 12 months, your doctor will determine if patients need to continue with the Charcot boot, or if they will be able to transition to custom Diabetic shoes. At this point, x-rays will be taken annually to watch for changes.